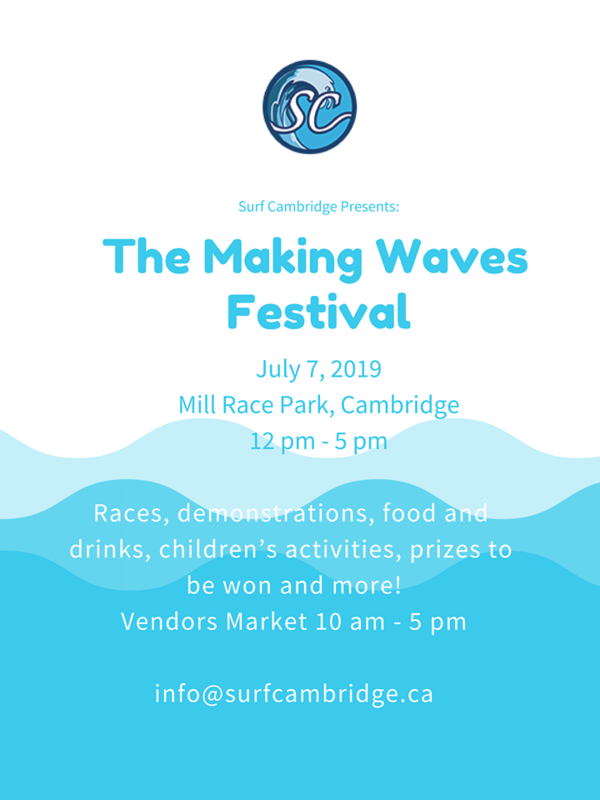 Sign up and enter our events on the river or just come down to have some shore fun with us while we raise money to help build a permanent Surf wave in downtown Galt. Help us make Cambridge a major Surf destination. Races, demonstrations, food and drinks, children’s activities, prizes to won and more! Vendors Market 10am to 5pm. For more information email [email protected] or if you are going to enter our on water events you must sign up here.